This years Veterans Parade will be held on Saturday, November 10th and we would like to invite you to join us in supporting our community’s veterans! Entry forms are due back to Bowling Green Parks and Recreation, 225 E. Third Avenue, no later than October 26th. 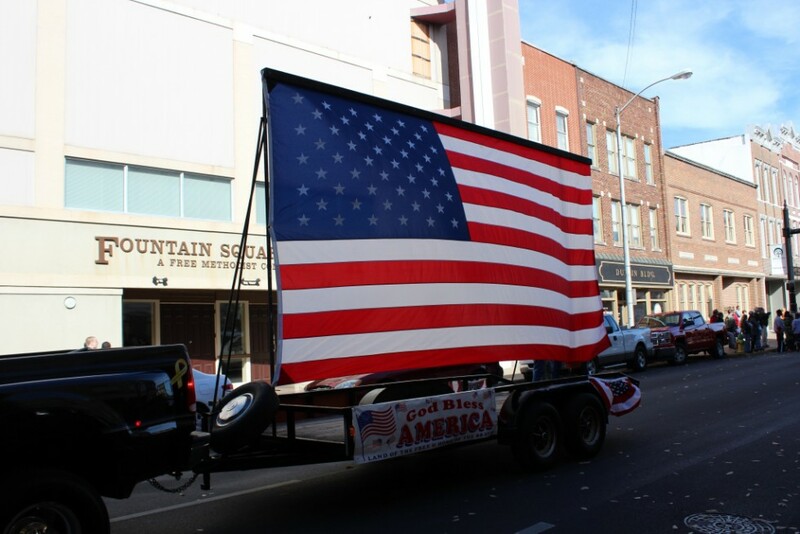 This years Veterans Day Parade will be held on Saturday, November 10th and we would like to invite you to join us in supporting our community’s veterans! Entry forms are due back to Bowling Green Parks and Recreation, 225 E. Third Avenue, no later than October 26th. Please fill out the form accordingly so that we can get entries assigned in the parade line-up. More information will be available once we have received all entry forms. Once the parade line-up has been determined, usually one week prior to the parade date, entries will either be notified by mail, email, or by phone as to what the line-up will be for the parade. Staging for the parade will be held on College Street beginning at 6th Street and ending at the 31W By Pass/1st Street. The parade route is to start at 6th and College, travel past Circus Square & Fountain Square Parks, turn left onto 10th Street, turn left onto State Street and then end at 6th and State Street. Stepping out and showing your support for our community’s past, present, and future veterans and their families is something everyone should be proud of. We look forward to seeing everyone there!